Many organizations struggle with the need to identify and mitigate risk related to specific geographies. Public location-based channels provide the opportunity to audit or review a location on-demand for localized information. 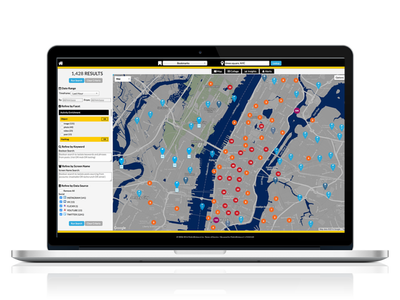 DigitalStakeout Locus is a simple, location-based search tool that enables analysts to quickly search and filter public location based social media by location. DigitalStakeout Location Based Search is subject to use-case approval per each supported data provider. Government subscribers are subject to DigitalStakeout responsible use controls.